(a.k.a. 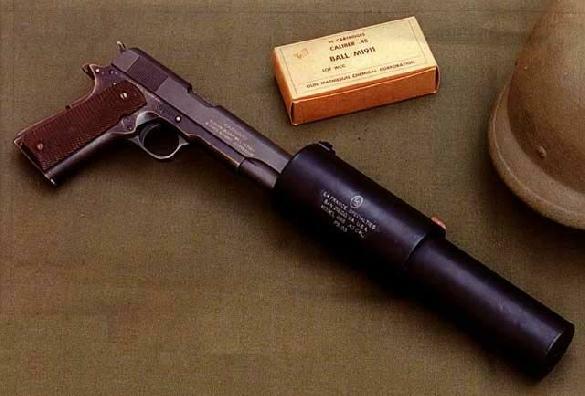 the LAFRANCE "COLT .45 SUPPRESSED") This is a highly modified M1911A1, using a revolutionary new suppression device. The silencer is attached to the slide and dampens both mechanical and bullet noise, as well as muzzle and breech flash. The silencer is designed for use with standard ammunition. Since it does not use bullet wipes, the silencer does not wear out. It can also be fitted on MAC-10 and similar submachineguns.